Lately, we have been seeing that the popularity of craft coffee is continuing to grow. So, one of the appliances that you really need to have at home to be able to get the most out of your coffee is a pour over kettle. One of the most important functions of the best pour over kettles is to make sure that they all the water to flow through the coffee grinds, in order to extract the coffee. The better the extraction you get, the better your coffee will taste. Featuring a medical-grade stainless steel and a gooseneck spout make sure that the Coffee Gator Pour over Coffee Kettle is able to produce the smoothest water flow. One of the main problems with drip coffee is that many times, you end up with burned coffee that just tastes terrible. One of the factors that contribute to this is using very hot water. However, if you use too cold water, the result won’t be good either because you won’t be able to brew the coffee properly. 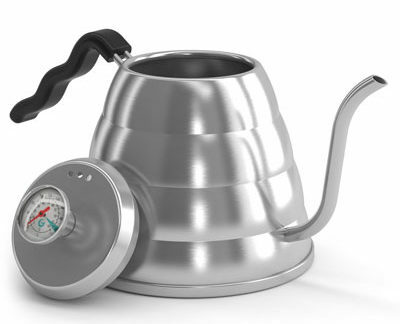 With the Coffee Gator Pour over Coffee Kettle, you won’t need to worry about the water temperature since it includes a thermometer to eliminate any guesswork. 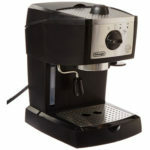 Make sure to click to find out more about coffee gear. The Osaka Electric Gooseneck Drip Kettle for Pour Over Coffee and Tea is one of the best pour over kettles on the market. 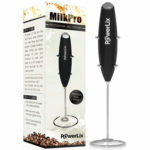 It allows you to precise control the pouring because it features a well-designed curved gooseneck. 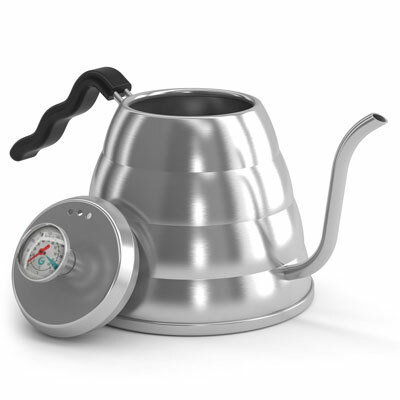 This kettle is made only with the best materials that include an interior made entirely of stainless steel. Plus, it also includes a convenient and ergonomic handle that is larger than other competitors. And since the handle is completely wrapped, you won’t ever burn your hands. 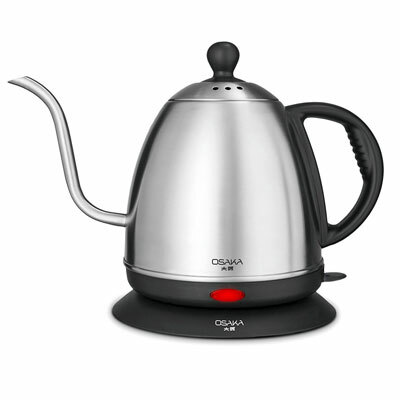 One of the best things about the Osaka Electric Gooseneck Drip Kettle for Pour Over Coffee and Tea is the that once it reaches the right temperature, it will automatically turn off. When you’re looking for the best pour over kettle, the Decen Pour Over Coffee and Tea Gooseneck Kettle is one of the best options you can consider. With a capacity of 6 cups (or 1.2L), the Decen Pour Over Coffee and Tea Gooseneck Kettle features an ergonomic design that includes a precision gooseneck spout and an ergonomic handle. 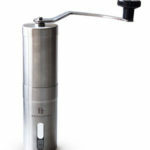 While the gooseneck design allows you to have complete control over the pouring in terms of the temperature, speed, and amount, the handle allows you to conveniently hold and serve the coffee, without burning your hands. Made with a high-quality stainless steel that is not only eco-friendly as it is BPA-free, the Decen Pour Over Coffee and Tea Gooseneck Kettle is made to last for many years. One of the best things about the Decen Pour Over Coffee and Tea Gooseneck Kettle is that you can use it at home, office, boat, RV, camping, among others. Plus, you can use it on induction stovetops, electric, and gas. When you’re looking for the best pour over kettle, you want to make sure that you get a good quality product. And this is exactly what you’re going to get with the Hario VKB-120HSVV60 Buono Pouring Kettle. With a capacity of 1.2L (about 3 to 4 cups of coffee), this kettle is very easy to use and it is able to deliver a high-quality coffee. The Hario VKB-120HSVV60 Buono Pouring Kettle is made of stainless steel and it includes an easy-grip handle that is protected to make sure that you don’t burn your hands. One of the main advantages of the Hario VKB-120HSVV60 Buono Pouring Kettle is that you can also change the coarse or fineness you want by using the flat knob lid. The Hario VKB-120HSVV60 Buono Pouring Kettle works well on electric stoves, gas, and IH ranges. It’s made in China. 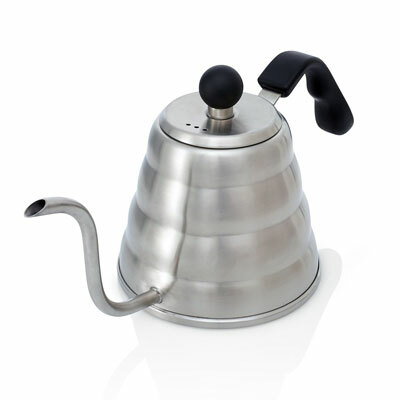 The Pour Over Gooseneck Kettle by Alpha & Sigma is made with stainless steel and includes an easy-grip handle. One of the best things about this pour over kettle is that fact that it has the perfect gooseneck spout that will allow you to control the pour up until the last detail. Since the spout is thin and long, this will make sure that you’ll get all the aromas you love with your cup of drip coffee, with a gentle, steady, and smooth flow. When you get the Pour Over Gooseneck Kettle by Alpha & Sigma, you can also use it for tea. 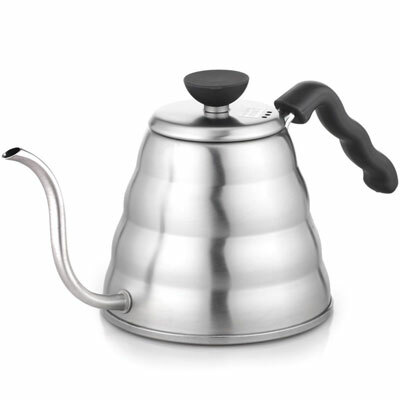 Since it is made with the best stainless steel that won’t corrode or rust, with a smooth matte finish, this is a great option when you simply love drip coffee or tea. The Pour Over Gooseneck Kettle by Alpha & Sigma features an English design, with an ergonomic shape and an easy grip handle to avoid any burns. You can use the Pour Over Gooseneck Kettle by Alpha & Sigma on induction stovetops, electric, and gas. Plus, it’s dishwasher-safe, which will save you a lot of time. The Fino Pour Over Coffee and Tea Kettle is another kettle that features a gooseneck and narrow spout which gives you all the control over the pouring. 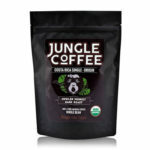 So, you can expect to get the maximum flavor out of your coffee. 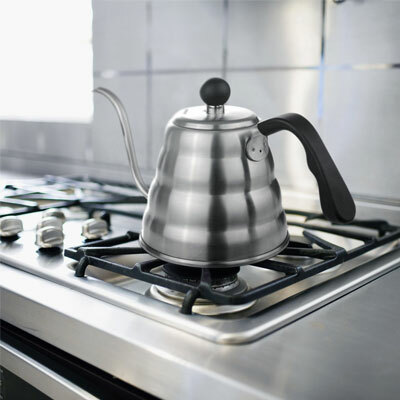 One of the best things about the Fino Pour Over Coffee and Tea Kettle is the angled handle that makes sure that your hands are also far away from the heated pot. 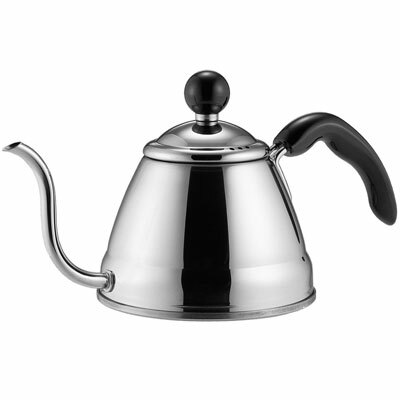 The Fino Pour Over Coffee and Tea Kettle is made in Japan and is made of stainless steel. So, you can be sure that it will last. 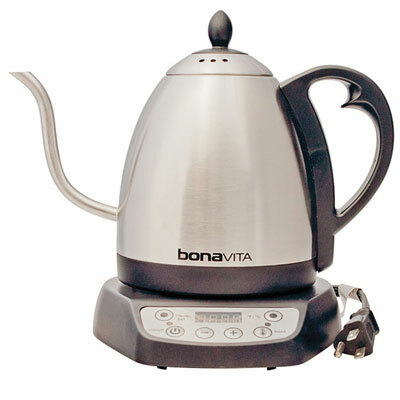 Last but not least, you have the Bonavita BV382510V Electric Kettle. This is also another great choice since it includes a real-time temperature display. 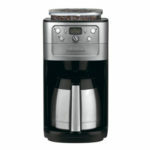 Plus, the Bonavita BV382510V Electric Kettle is able to heat and hold the temperature you want up to 1 hour. One of the main advantages of the Bonavita BV382510V Electric Kettle is the fact that it includes 6 different temperature settings from 60ºC (140ºF) and up. Since temperature is one of those factors that highly contribute to getting that amazing flavor and aroma on your coffee, being able to easily control it is pretty great. 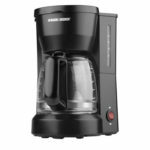 Plus, the Bonavita BV382510V Electric Kettle also allows you to use the count up timer to make sure you’re brewing your coffee for s specific period of time. These are great features to experiment the different coffee flavors and aromas you prefer and then be able to replicate them every single morning.